There’s something in social media marketing (SMM) that some B2B marketers do not like. 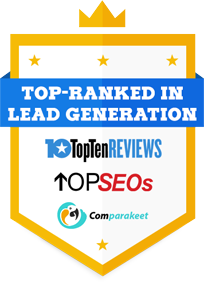 It could be because certain surveys and reports within the industry list SMM as the least effective lead generation channel. Moreover, these same marketers adhere to the idea that decision-makers rely less on social media in prowling for solutions. However, this is just pure myth. While there are studies that center their argument in the alleged weaknesses of social media, there are also articles and surveys that still regard SMM as an important tool for fostering and maintaining B2B relationships. Take a 2013 study from Marketing Profs and the Content Marketing Institute indicating that 87% of marketers use social media for content production and distribution. Other than that, marketers use up to six different social media platforms and, compared to previous years, have increased their usage of such platforms. In addition, content marketers are focusing more on brand awareness. Social platforms are especially suited for this, given that 93% of marketers (based on the same study) apply content-based demand generation strategies. These numbers debunk those in other studies that maintain a pessimistic view about social media. In your case as a B2B solutions provider, it is high time to ride the numbers and optimize your content marketing online with these basic steps. Link up with LinkedIn. At least a majority (or 91%) of B2B marketers depend on LinkedIn for their SM activities. Moreover, they find the site the most effective in terms of generating high-quality B2B leads. This is mainly due to its function of fostering professional relationships and allowing businesses to explore better business opportunities via its blogging platforms and advanced search option. Present yourself via Slideshare. Slide presentations are among the best and widely-used content options, mainly because they are an engaging way to maintain audience retention. Via Slideshare, they are also effective in giving advice and other information to your intended demographic. So, remember to give provide links to your Slideshare account and put up timely presentations that cover most B2B issues. Start stumbling. StumbleUpon offers numerous possibilities. Most well-known as a social bookmarking and SEO tool, the site can be leveraged for content curation and lead generation. If you want quality traffic towards your site, you may want to start “stumbling” now. Forget what other marketers say, SMM is still hot as a freshly baked pie. But it is not easy though as you may need the services of a competent B2B marketing firm to handle your SMM metrics and increase your online conversions.